Hannah Kessinger’s winning piece from last year’s Ohio Second Congressional District Art Competition is pictured. Congressman Brad Wenstrup (OH-02) has invited high school students from around Ohio’s Second District to participate in the 2019 Congressional Art Competition. The competition is an opportunity for high school students to showcase their artistic abilities and compete for a chance to see their creations hang in the United States Capitol for one year. 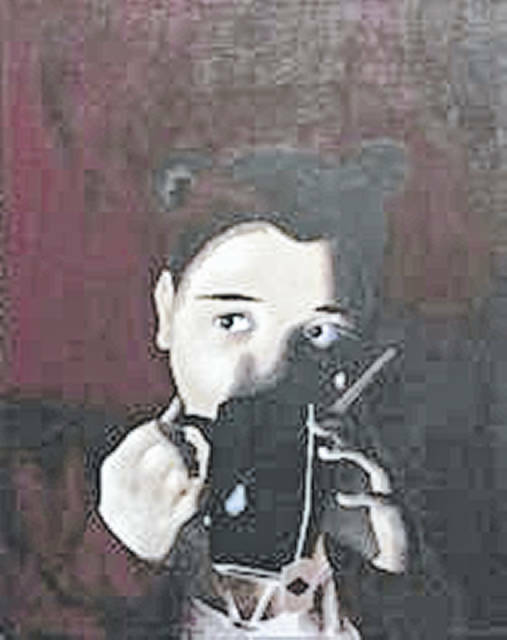 Students may submit their original, two-dimensional artwork to Wenstrup’s district offices in Cincinnati or Peebles for judging. A panel of judges will determine first, second and third place winners among the submissions, alongside a Viewer’s Choice determined by online voting. The runners-up will have their artwork displayed prominently in one of Wenstrup’s offices. Last year’s first place winner from Ohio’s Second Congressional District was Hannah Kessinger. To be considered in the competition, students must hand-deliver or mail their entries, along with typed student release forms, to Wenstrup’s Cincinnati or Peebles district offices no later than 5 p.m. Friday, April 19. For a complete list of the rules and guidelines, visit Wenstrup’s website at wenstrup.house.gov/art or call his district office at (513) 474-7777.